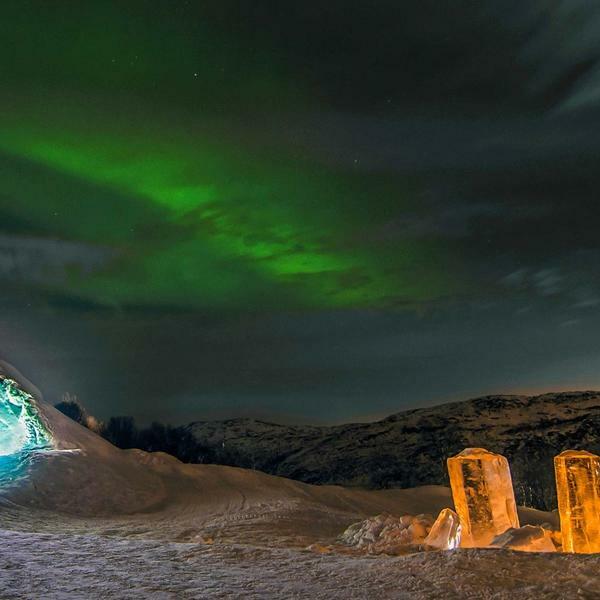 The magical Northern Lights have intrigued and enchanted Arctic adventurers for centuries. 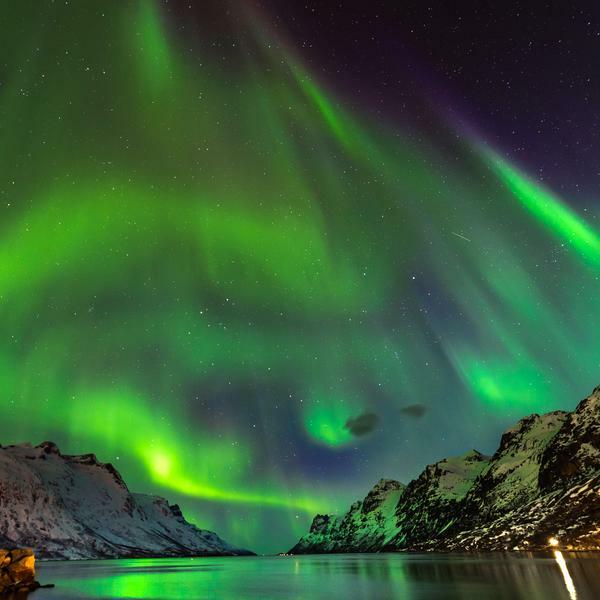 And so what better way to experience them for yourself than on our exclusive new 12-day voyage along the stunning Norwegian fjords? 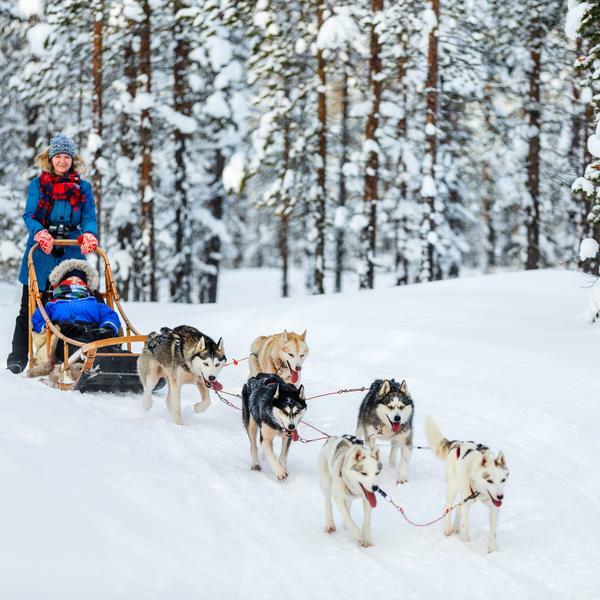 As well as enjoying one of the most beautiful and unspoilt places on Earth, you will have the chance to meet the extraordinary explorer Sir Ranulph Fiennes, who has completed record-breaking missions to both poles, Mount Everest and the north face of the Eiger. Sir Ranulph will give two special talks and a Q&A during your trip, plus join you on a special included excursion to see the spectacular North Cape, the most northerly point of Europe. 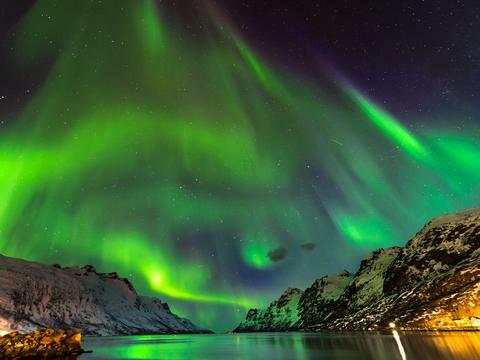 Our previous sailings to see the Norwegian fjords, with special guests such as Julia Bradbury, have sold out fast, so please book early for Sir Ranulph Fiennes' trip to avoid disappointment. Sir Ranulph Fiennes' extraordinary achievements as an adventurer and explorer have seen him widely recognised as 'the world's greatest living explorer'. He served in the Army for eight years, as a member of the Royal Scots Greys and the SAS, and later embarked on a series of pioneering missions to many of the most remote and inhospitable places on the planet. He was the first person (with Charles Burton) to conquer both the North and South Poles on foot, and was the first (with Mike Stroud) to cross the Antarctic continent on foot. 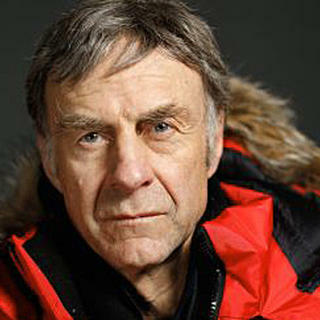 In 2009, Sir Ranulph climbed Mount Everest at the age of 65, becoming the oldest Briton to reach the summit. **Supplements apply for optional activities, which have limited capacities and are booked on a first-come, first-served basis. 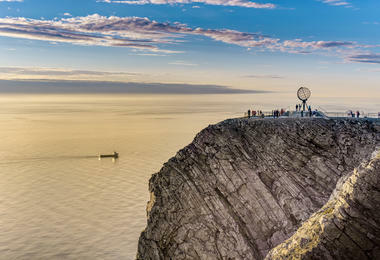 To find out more, please call our tour partner Hurtigruten on the booking number below. ***For full terms and conditions for the Northern Lights promise, visit hurtigruten.co.uk/uk-offers/norway-offers/northern-lights-promise. * Based on two sharing. Subject to availability. Single supplement prices on request. Price based on flights from Gatwick. Regional flights available for a supplement, subject to availability. 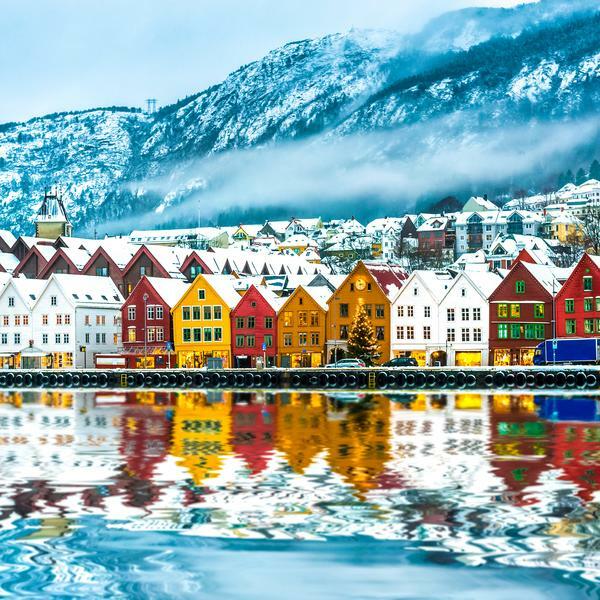 You will fly direct from the UK to the pretty Norwegian port of Bergen, famous for its colourful wooden wharfs, where you will board your home for the next 11 nights, MS Finnmarken. 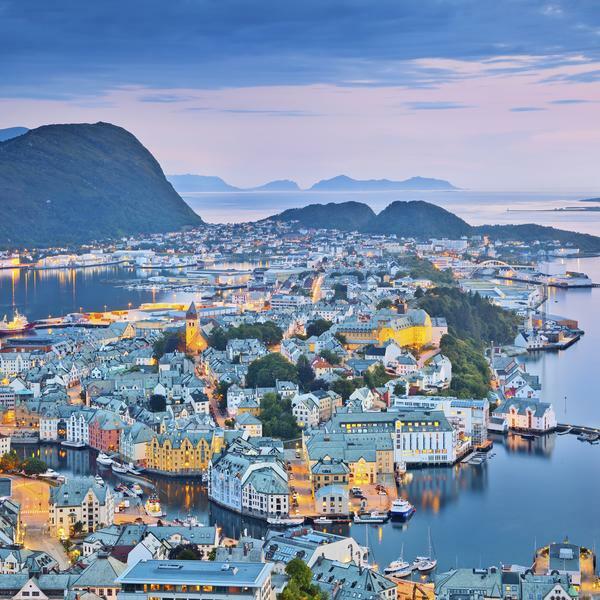 Today you'll have the chance to explore Alesund, famous for its stylish Art Nouveau architecture. 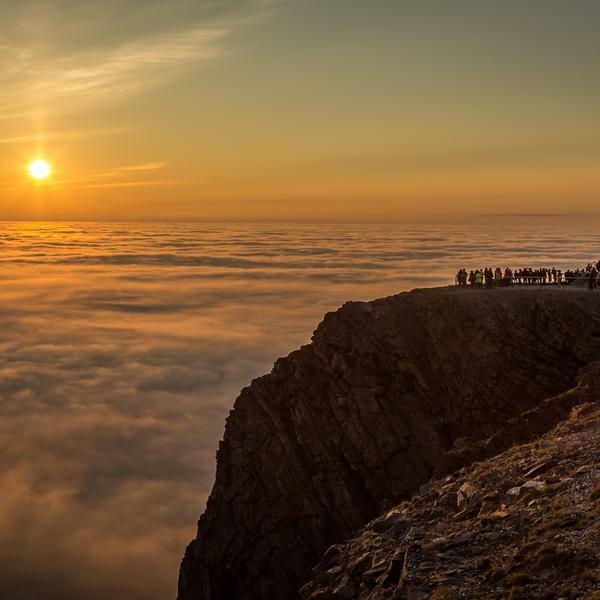 Optional excursion: a scenic drive to take in the wonderful views from the top of Mount Aksla. 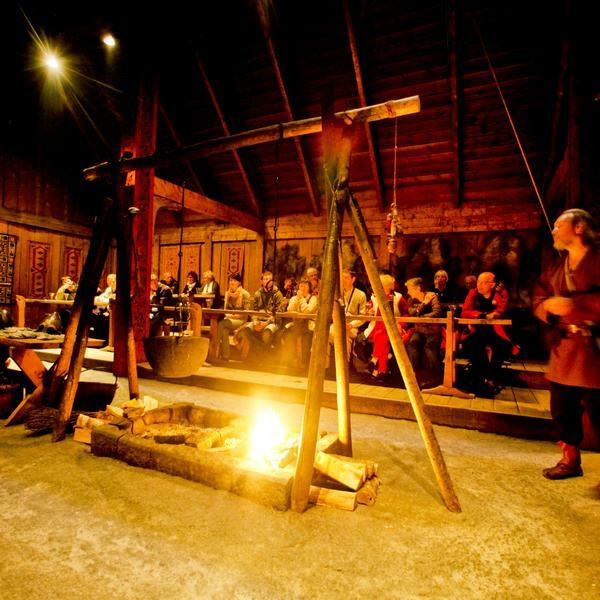 You will explore the city of Trondheim, a former Viking trading post and Norway's first capital. 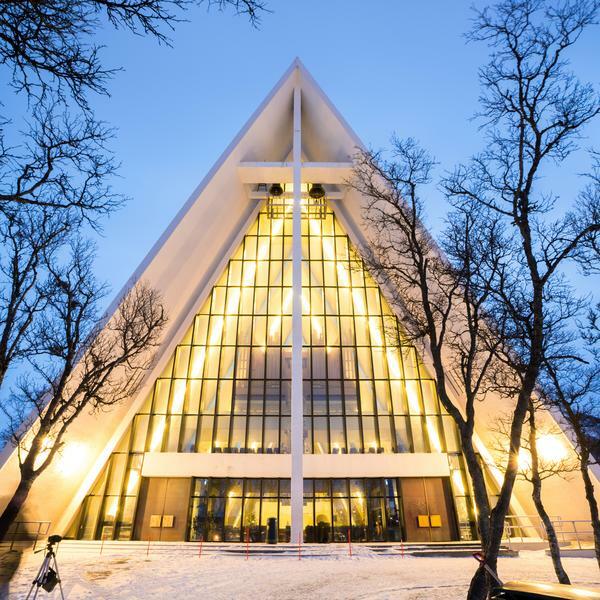 Optional excursion: a visit to the country's most famous church, Nidaros Cathedral. Join the crew on deck for a traditional ceremony to mark your first crossing of the Arctic Circle. 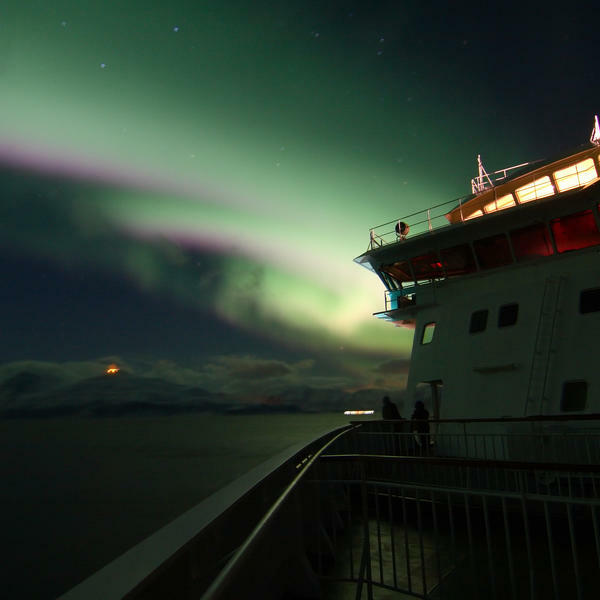 Tonight, listen to a fascinating on-board talk explaining the science behind the Northern Lights. Optional excursions: a nature hike in beautiful Bodo. 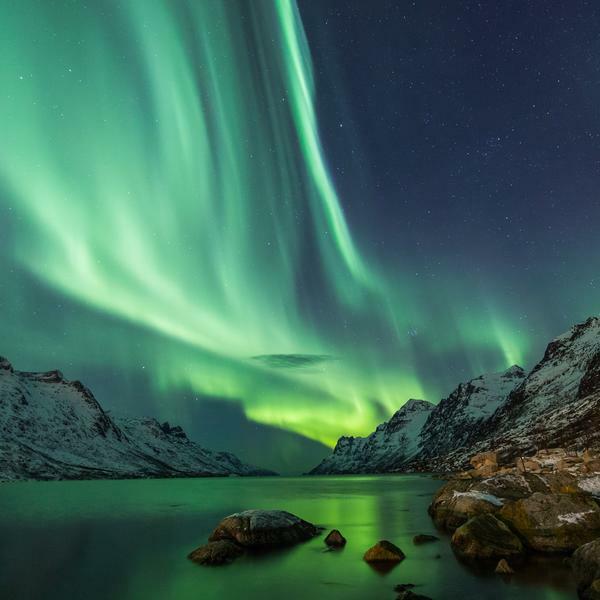 You will have more chances to see the Northern Lights as you sail north towards Tromsø, known as the 'capital of the Arctic'. 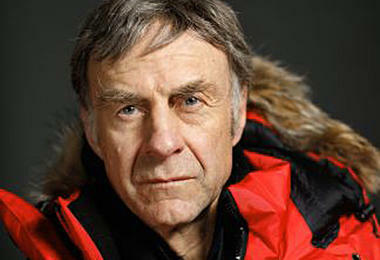 Today our special guest Sir Ranulph Fiennes will give an exclusive talk and Q&A on board the ship. 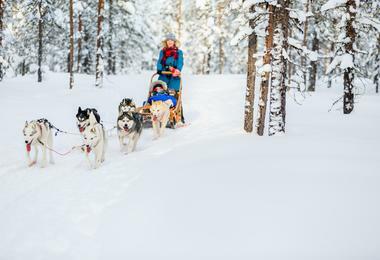 Optional activities: going on a husky-sledding adventure! 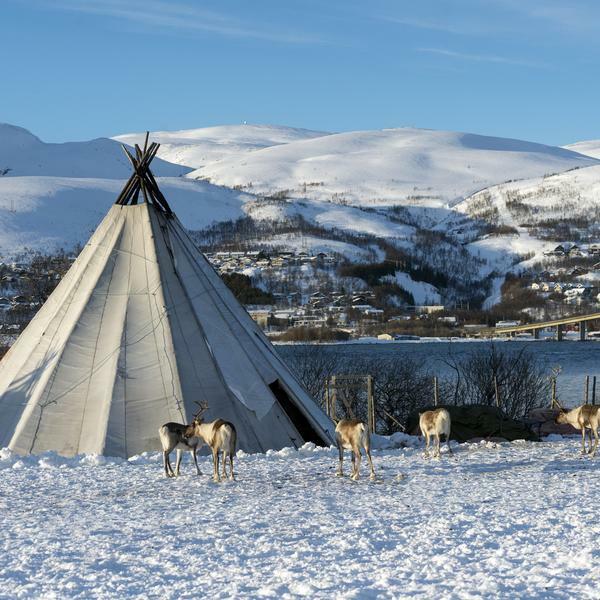 Today you'll enjoy the spectacular views from the Northe Cape (Nordkapp), the northernmost point in Europe, on a special included excursion with Sir Ranulph Fiennes, as your voyage continues through the snow-covered homelands of the Sami people. 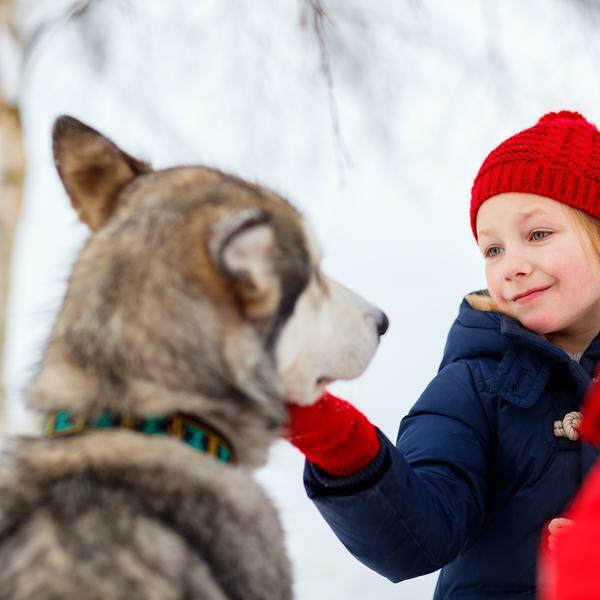 Today you have option of joining a fantastic excursion to visit the famous sculpted ice rooms of the Snowhotel in Kirkenes, have a drink at the Ice Bar and then meet the huskies and reindeer at nearby Gabba Reindeer Park. 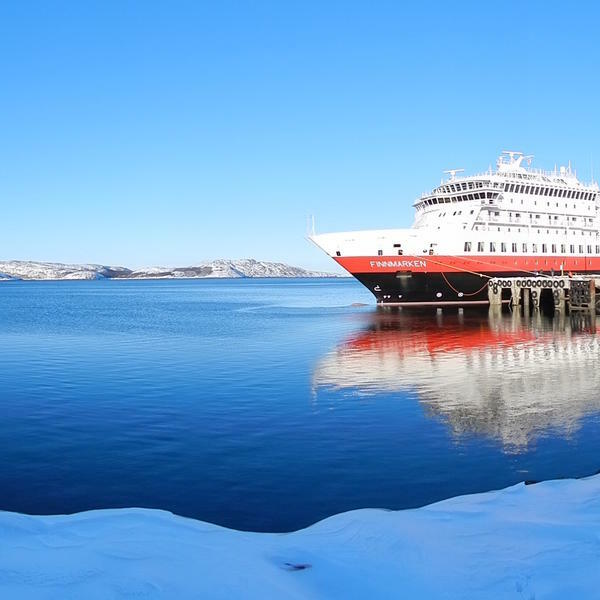 Today's highlights will include the pretty waterfront buildings of colourful Hammerfest and views from your ship of the snow-capped Lyngen Alps. 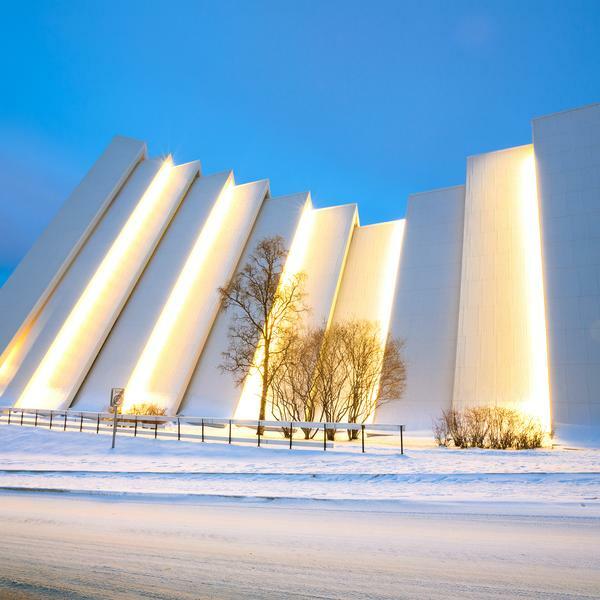 Optional excursions: a midnight concert in Tromso's Arctic Cathedral. 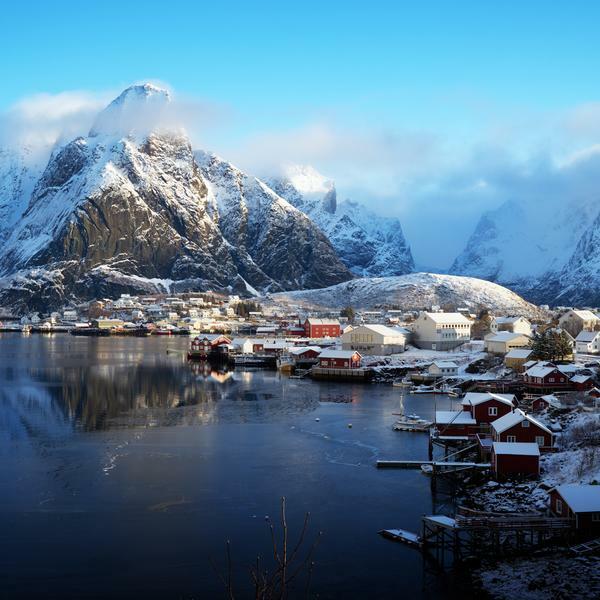 The islands of Lofoten and Vesteralen are among the most beautiful in Norway. Keep an eye out today for the Seven Sisters mountain range and the distinctive shape of Torghatten, the 'mountain with a hole in it'. You will return to the Royal City of Trondheim. Optional activities: going on a fascinating trip to the magnificent marble mine at Bergtatt. 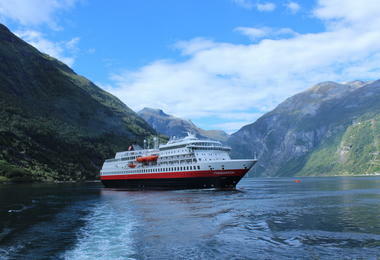 After breakfast, you will disembark MS Finnmarken and be transferred to the airport for your direct flight home. With her fabulous lounges and distinctive bow, MS Finnmarken provides a unique setting for viewing the spectacular surrounding scenery. The panoramic lounge on the top deck is a comfortable spot to enjoy the views, and the tip of the vessel can be accessed from deck five. Art Deco-style design and lavish decoration feature throughout the vessel but it's the facilities on MS Finnmarken that really stand out. When you're not out exploring, there's a swimming pool and Jacuzzi on deck, as well as a fitness room and a luxurious sauna with a view. After a busy day, grab a snack from Babettes Café or head to the bar for a pre-dinner drink. In the evening, choose from a diverse menu of freshly prepared dishes in à la carte restaurant before retreating to the comfort of your cabin. Expedition Suite: Situated on the upper deck, Expedition suites are the most lavish cabins on MS Finnmarken, with separate seating areas and en suites showers. The larger Expedition suites feature more facilities, such as a private balcony or bathtub. All cabins come complete with complimentary cabins kits, bathrobes and slippers. Arctic Superior: These cabins are also on the upper deck and are equipped with en suite showers. The larger Arctic Superior cabins feature double beds, while the smaller include separate beds, one of which converts into a sofa. Arctic Superiors cabins are complete with tea and coffee-making facilites. Polar Inside: The Polar Inside cabins are located on decks 2, 3, 5 and 6. All cabins include en suite showers. Most Polar Inside cabins feature separate beds, one of which converts into a sofa, or upper and lower berths. Polar Outside: These cabins are mostly located on the middle or lower decks of MS Finnmarken. Cabins of varying size have individual specfications but all feature an en suite shower. Most Polar Outside cabins include separate beds, or upper and lower berths. 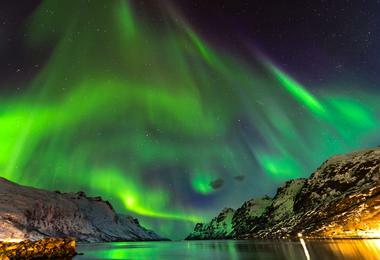 Founded in 1893, Hurtigruten are the world's leading experts in cruises along the Norwegian fjords. 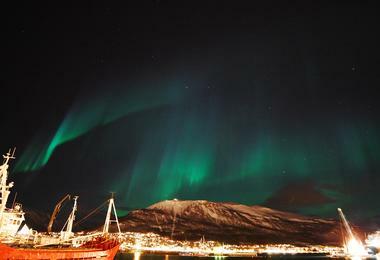 To view Hurtigruten’s supplier’s terms and conditions click here.